Warren Buffett, who once joked that capitalists should have shot down the Wright brothers’ first plane and saved investors money, has made a course correction that’s raised the idea he’s considering the purchase of an airline. Thirty years after a troublesome investment in USAir, Berkshire Hathaway Inc. (BRKb.N) has amassed stakes that make his holding company among the biggest shareholders in the four largest U.S. airlines. Last year, the famed investor said he wouldn’t rule out owning a carrier, prompting talk about which one he’d grab. Berkshire has been acquiring shares of Delta Air Lines Inc. (DAL.N), the world’s most valuable carrier, and now has airline stakes worth more than US$9 billion. The market values of those companies range from around US$14 billion to US$34 billion, and recent share declines could present some bargains to Buffett. Buffett, 88, hankers for a large deal. He said in his annual letter released last month that his push for an “elephant-sized acquisition” has been thwarted by high prices. And Berkshire is sitting on a cash pile that had grown to about US$112 billion at year-end. Industry watchers have said Buffett may be closer to an outright purchase. Buffett’s assistant didn’t return a request for comment, and representatives for American and United declined to comment. A Delta spokesman said only that the company appreciates Berkshire’s investment. A Southwest spokesman declined to comment on speculation, adding that the carrier also appreciates Berkshire’s support. Airline stocks are cheaper than they used to be. Southwest has fallen about 23 per cent since its 2018 high of US$66.52 a share and Delta is down almost 18 per cent from its US$61.32 peak last year. While Buffett prefers to keep stakes in companies below 10 per cent, his Delta holding has crossed that threshold at about 70.9 million shares, or 10.4 per cent. The holding got a further boost from Delta’s repurchases. Breaking that barrier reinforces the view that Delta is at least a long-term investment, according to David Sims, president of Sims Capital Management, which oversees US$50 million, including Berkshire Class B shares. Berkshire is the biggest holder in Delta, with a stake valued at about US$3.6 billion. It has amassed a US$2.8-billion investment in Southwest Airlines Co. (LUV.N), a US$1.78-billion stake in United Continental Holdings Inc. (UAL.O) and American Airlines Group Inc. (AAL.O) stock valued at US$1.38 billion. Buffett’s thinking on the industry has evolved. He once chided airlines for being “suicidally competitive” on price, and said executives engaged in “prolonged kamikaze behaviour.” And he criticized himself for the USAir deal which, while ultimately profitable, he has always considered a mistake. In more-recent years, Buffett has said that pricing, labor issues and other areas have stabilized as competition dwindled. And Berkshire knows the airline industry. The US$503 billion conglomerate owns NetJets, a fractional aircraft ownership company. One of its newest companies, Precision Castparts, serves the aerospace market. Investors looking at Berkshire’s history with railroads may see a parallel with its investments in multiple airlines. Buffett’s company bought up stakes in two major railroads before his 2010 purchase of BNSF in one of Berkshire’s largest deals. 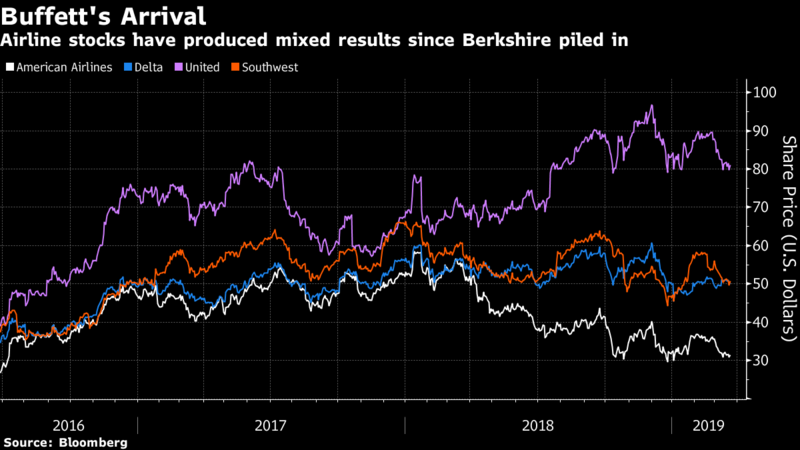 Still, the airline stakes have held at around the 10-per-cent level while Berkshire’s interest in BNSF climbed above 20 per cent before the purchase. Buffett’s preferred methods of doing deals could hamper any agreement. He shuns hostile takeovers, meaning the airline would need to be a willing seller. And Buffett tends to keep existing management in place after an acquisition. Such a hands-off method can be troublesome if the target company ends up running into issues, especially if Berkshire lacks a manager who has the airline expertise to step in, according to Cathy Seifert, an analyst at CFRA Research. 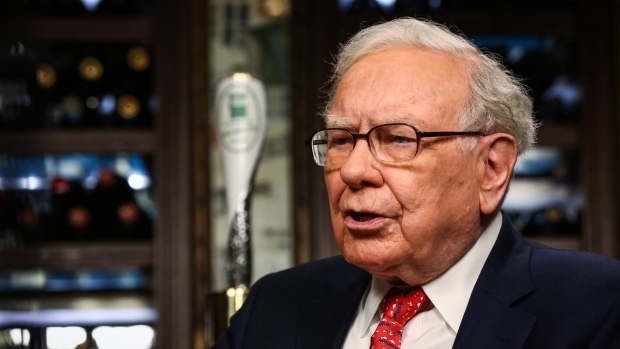 Buffett was reminded of the trickiness of a hands-off approach recently with his stake in Kraft Heinz Co., which he helped form through acquisitions. That company took a US$15.4-billion writedown on some assets, hurting Berkshire’s stake in the business. Buffett has expressed optimism about airlines in recent years, while remaining cautious about forecasting.